Instagram’s popularity has swollen over the past couple of years. Instagram has moved up from being just another social network to one of the largest social networks and an excellent prospect in digital marketing. Companies have started integrating Instagram marketing into their digital marketing strategies as Instagram marketing is extremely effective and fruitful. The trend of initiating Instagram campaigns gained momentum over the past few years as brands utilize these campaign to stimulate engagement, ultimately resulting in soaring profits. As user-generated content is an essential tool in the Instagram arsenal, brands run Instagram campaigns to encourage more UGC, resulting in higher growth. 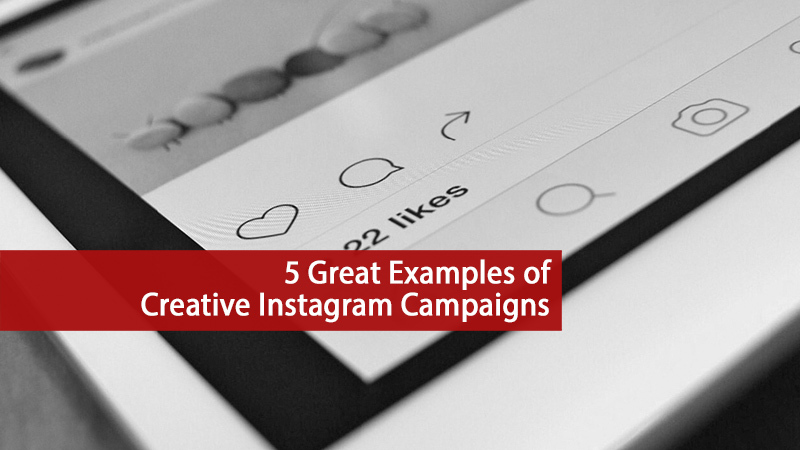 Below are five great examples of successful and creative Instagram campaigns. The marketers at GoPro were able to multiply their Instagram following and engagement, by a series of Instagram campaigns, which are part of one major campaign. This handy yet extremely useful gadget was advertised all over the world, making GoPro a renowned brand worldwide. GoPro, along with its fans were able to market this product, showcasing perspectives that had never been discovered before. GoPro commenced a series of Instagram campaigns, targeting diverging consumer segments. Their campaigns contain content based on inspirational stories and active lifestyle. With their ongoing campaign, GoPro was able to associate the brand with adventure and healthy lifestyle, resulting in soaring engagement and interest from the consumers. GoPro’s Instagram gallery is all about ‘extreme’ outdoor adventures, and the content comes mostly from consumers. Gopro utilizes this UGC in the most effective manner as their campaigns are all about empowering consumers to share their inspirational experiences. For the unique campaign and considerable success, GoPro was rewarded with ‘The Best Brand on Instagram’ shorty award back in 2014. Even though their Instagram campaign initiated before the ‘Instagram marketing revolution’, it is one of the most remarkable examples of Instagram campaigns. Air Canada came up with a creative idea, to target different segments of consumers and boost engagement. The largest Air carrier of Canada decided to utilize social media to target larger audiences and promote brand loyalty. 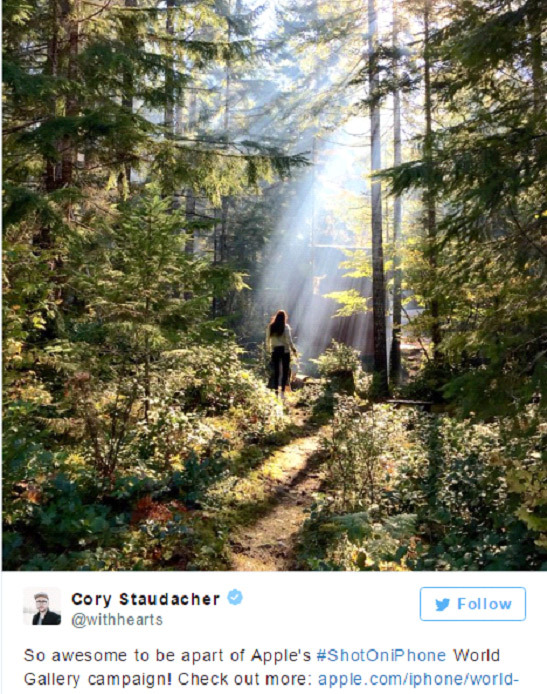 Their Instagram campaign followed an addition of 2 new destinations in their routes. Their campaign was based on sponsorships and affiliate marketing. Influences and celebrities were paid to travel to both the destinations and promote the local culture, tourist destinations, and scenery. 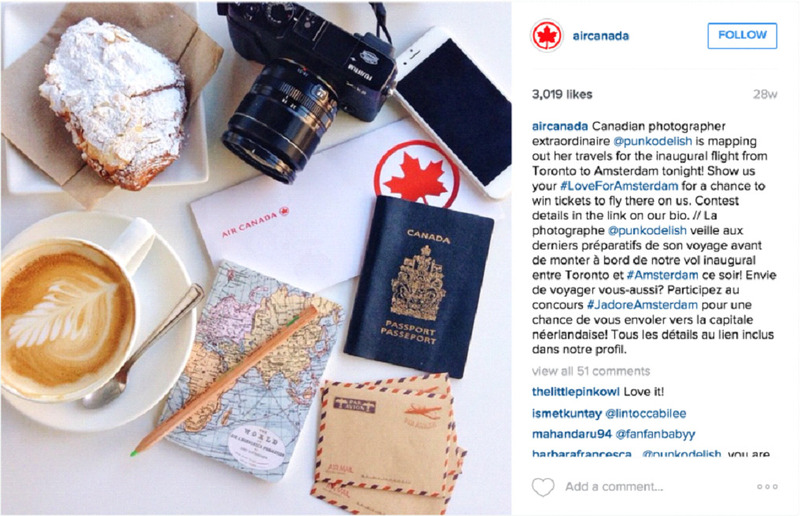 As influencers and celebrities can influence a large number of people, Air Canada was able to spread the message. Air Canada’s campaign was pretty much successful as they were able to promote the company by associating it with the cultural importance of both of those two destinations. The sportswear and sports accessories producing firm which was previously satisfied with its market share is now thriving to get neck-to-neck with its traditional competitor Nike. 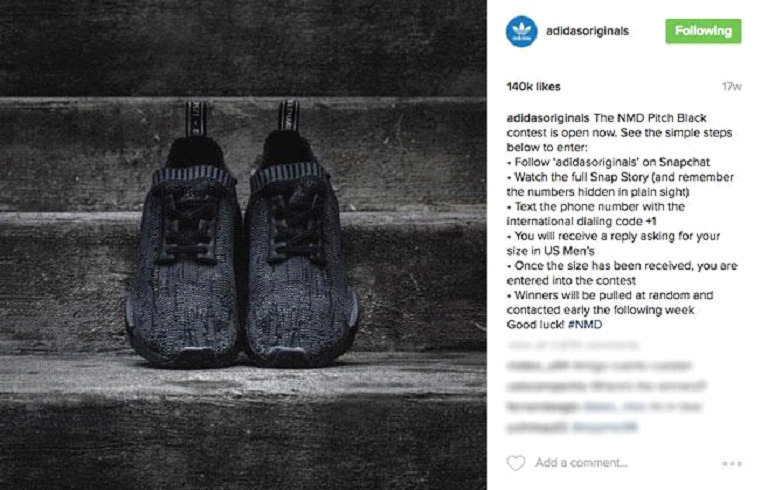 Adidas recently turned to social media marketing for more exposure, with their sneaker portfolios up there with that of Nike’s. Both these sportswear giants are neck-to-neck with each other, in pursuit of targeting the sneakerheads. Adidas updated an Instagram post, referring its audience to Adidas’s Snapchat profile. They hid a number in their Snapchat stories. Texting the number to Adidas would get participants into a lucky draw to win a pair of sneakers. The sportswear giant was able to carry out dual-platform marketing as they were able to promote their Snapchat and Instagram profiles simultaneously. They uploaded a total of 3 posts on Instagram, containing CTAs to access Adidas on Snapchat. Not only were they able to increase traffic and engagement on both social networking platforms, but they also successfully spread awareness about their new product line. The smartphone giant initiated a creative Instagram campaign to promote their latest product and increase brand awareness. Apple hired a bunch of photographers to click low-light pictures from their iPhones. The aim of this campaign was to showcase the low-light picture snapping abilities of the new iPhone. The photographers clicked pictures in different countries throughout the world and the pictures were uploaded on Apple’s official Instagram account with the hashtag #shotoniphone. Apple also encouraged consumers to join the campaign by using the #shotoniphone hashtag in their pictures. This is the perfect example of utilizing User-generated Content to boost engagement. Perhaps the most interesting and fascinating campaign was designed by marvel. The campaign was based on their latest film Captain America: Civil War. The campaign was lauded by individuals and professionals as it seemed a unique idea. Marvel constituted a team comprising of 10 graffiti artists, who went on to paint a scene of the movie Captain America, across the side of a building. The artists’ efforts were recorded and a time-lapse video was uploaded on Instagram. Their campaign was highly successful as it intrigued random by-passers along with Instagram users. 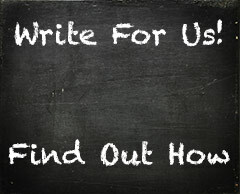 Qurban is a freelance writer who offers blogging, ghostwriting and copywriting services. He works closely with businesses providing digital marketing solution that increases brand awareness and search engine visibility. He’s currently working for Vibbi.com, that provides quality Instagram likes, followers, and views.